New Orleans Reading the long story in The New Yorker recently, it was clear that Thomas A. Drake was no dream employee at National Security Agency (NSA), but it was even more obvious that trying to convict him of the Espionage Act was ridiculous, so seeing him plead out on a misdemeanor deal is probably largely an example of his inability to muster the resources to weather a trial and embarrass the Obama Administration. I’ll be darned if I’ll read all the gee-whiz stories about Sarah Palin’s emails, which I have to bet are 24000 pages of the paper pushing done by governors in small states which make them do crazy things like run like the dickens for vice-president. All of this makes me wonder what’s happening with Julian Assange and Wikileaks, who were last year’s scourge of society and humankind? Thankfully, Assange has finally gotten the message that if he wants to save the value of Wikileaks and keep his own keister out of the calaboose, he needs to finally put a sock in it and try to hide some of his more obnoxious and paranoid personality quirks (which is not to say some of his paranoia is not warranted!). 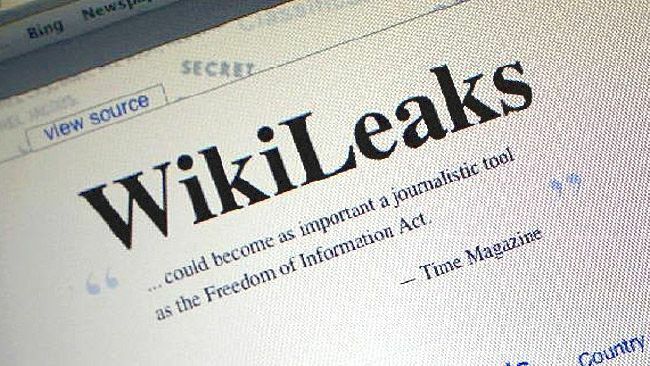 Smartly, Wikileaks and Assange have now expanded their partnerships with even more media outlets around the world, which has meant that now a long time after the original dumps of information we are still reading citations almost daily somewhere in the world to Wikileaks. It is categorically true that their movement of this information to the press and the people has been an invaluable resource all over the world, and one that continues to keep on giving. The New York Times seems prissy and hypocritical in still wanting to use soon departing executive editor Bill Keller’s ham-handed and mean-spirited ad hominem slaps at Assange to give cover and comfort to all manner of forces confused over the difference between the messenger and the message. Almost daily I read somewhere in the Times a reference to information they have gotten from Wikileaks, so who cares if they want to eat dinner with Assange and how often he showered? Are they on the high school football team, still looking for a way to make fun of the class nerd or what? Even more hypocritical is the continued savage curtailment of whistleblowing, news leaks, and public spirited public employees with the bullyboy bluster of the Justice Department and its irresponsible prosecutions of anyone committed to transparency and truth. There are hardly any other areas other than immigration and foreclosure modification policies where what the Administration says is so different than what it does. This entry was posted in Ideas and Issues, Personal Writings and tagged new yorker, nsa, NYT, wikileaks by wade. Bookmark the permalink.